EASY CARE WITH GREAT GOLF VIEWS! You'll enjoy this 2 bedroom, two bath home with VIEWS of three golf fairways. 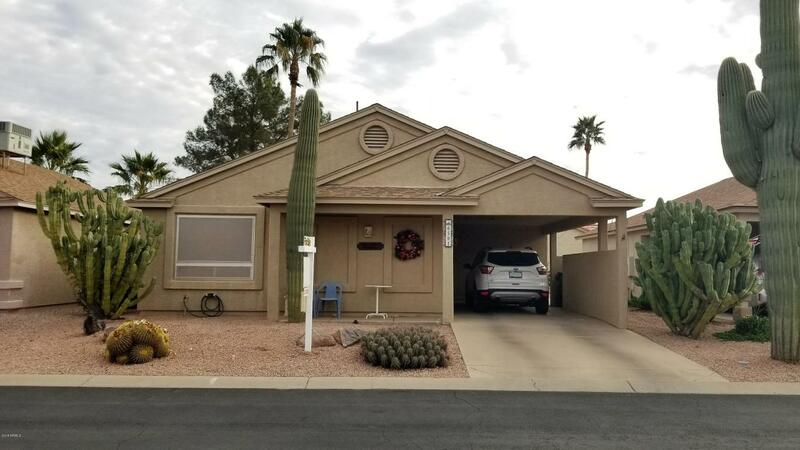 Shows the owners TLC and has many upgrades, granite counter tops, newer cabinets and newer flooring, DUAL PANE windows and a whole lot more of extremely nice upgrades. Inside laundry. Newer A/C. Golf cart Garage. Furniture Separate Bill of SaleSee today! Sunbird Golf Resort Amenities:18 hole Golf Course, Driving Range Clubhouse, Restaurant, Lounge, Library, Billiards, Heated pool/spa, Workout facility, Tennis, Pickle ball, Bocce Ball Courts, Catch/release Fishing Lake, on-site Post Office and SO MUCH MORE!! !